We are pleased to announce that the University of Belgrade has received the HR Excellence in Research Award. 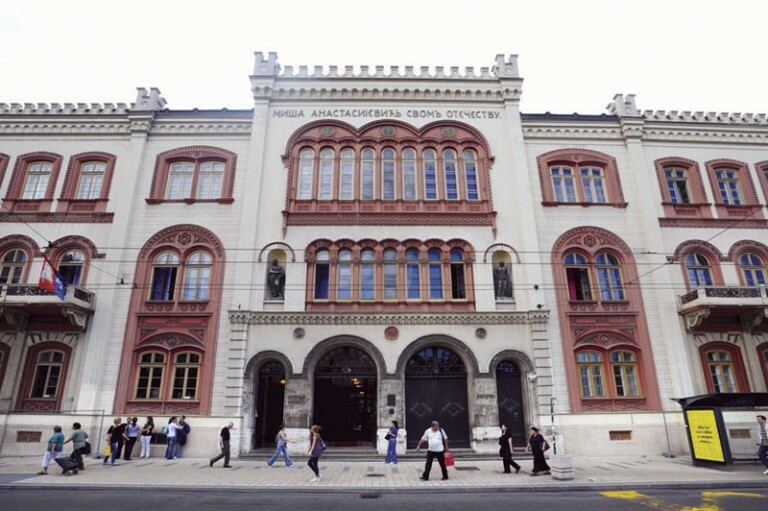 By adopting the Human Resources Strategy for Researchers and the Action Plan for Implementation, both in compliance with the principles of the European Charter for Researchers and the European Code of Conduct for Recruitment, the University of Belgrade has committed itself to a continuous activity of further improvement of the position of its research staff. 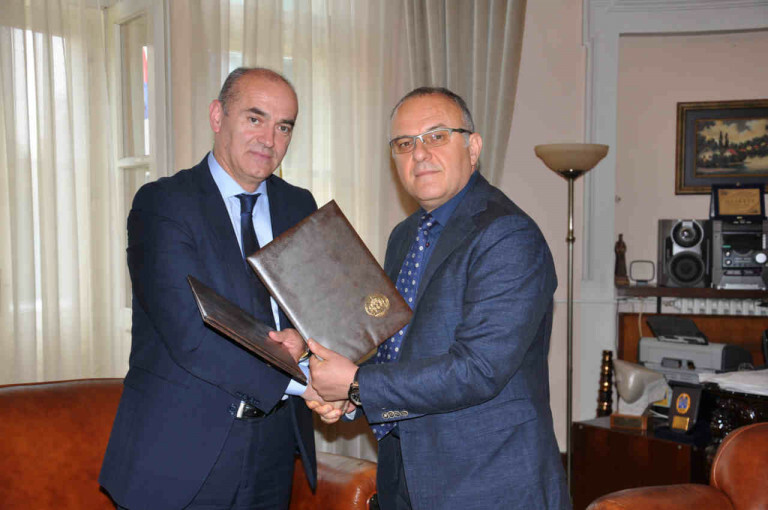 Activities related to signing the Carter and Code, application submission, as well as preparation of Gap Analysis and the HRS4R with the Action Plan, have been implemented through the Erasmus+ project Enhancement of HE Research Potential Contributing to Further Growth of the WB Region – Re@WBC. We are pleased to announce that the University of Sarajevo has received the HR Excellence in Research Award. The award is granted by the European Commission to research institutions that have made significant progress in implementing the European Charter for Researchers and the Principle for the Employment of Researchers, which adhere to the documents and standards prescribed by th European Union in relation to the working conditions and employment of researchers, and whose recruitment procedures are harmonized with the European ones. 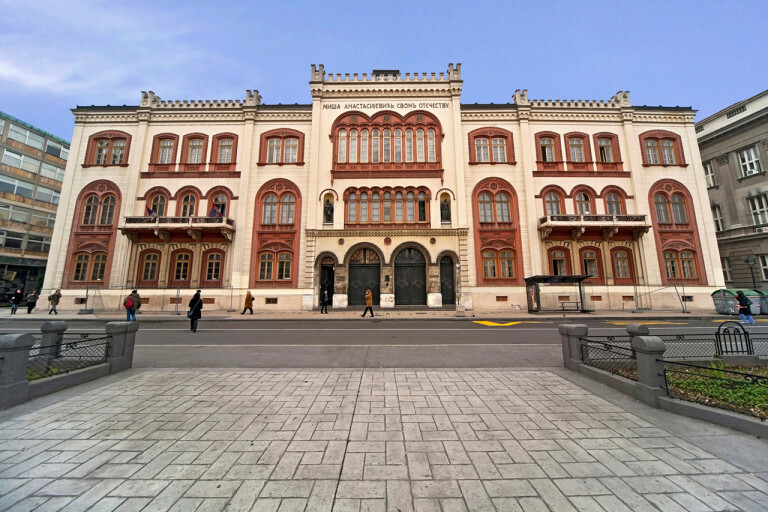 In order to harmonize the vision of human resources development at the University of Sarajevo with the European Charter for Researchers and the Code of Conduct for the Recruitment of Researchers, the University of Sarajevo has signed the Charter and Code in 2016, and later submitted an application for the HR Excellence in research Award. The application submission was preceded by development of the Internal Gap Analysis and the Human Resources Strategy for Researchers (HRS4R) with the Action Plan. Activities related to signing the Carter and Code, application submission, as well as preparation of Gap Analysis and the HRS4R with the Action Plan, have been implemented through the Erasmus+ project Enhancement of HE Research Potential Contributing to Further Growth of the WB Region – Re@WBC. 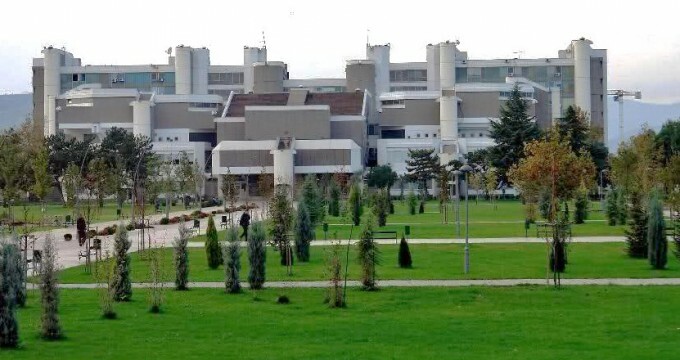 With the positive assessment of the UNSA application, the European Commission recognized the efforts of the University of Sarajevo to provide better conditions for the work and employment of the researchers at the University of Sarajevo. 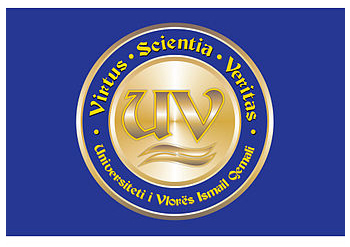 The recognition is very significant for the University of Sarajevo, but it also represents a commitment since it implies the efforts and activities of all bodies and organizational units of the University of Sarajevo to implement measures from the Action Plan for the Implementation of the UNSA Human Resources Strategy for Researchers (HRS4R). 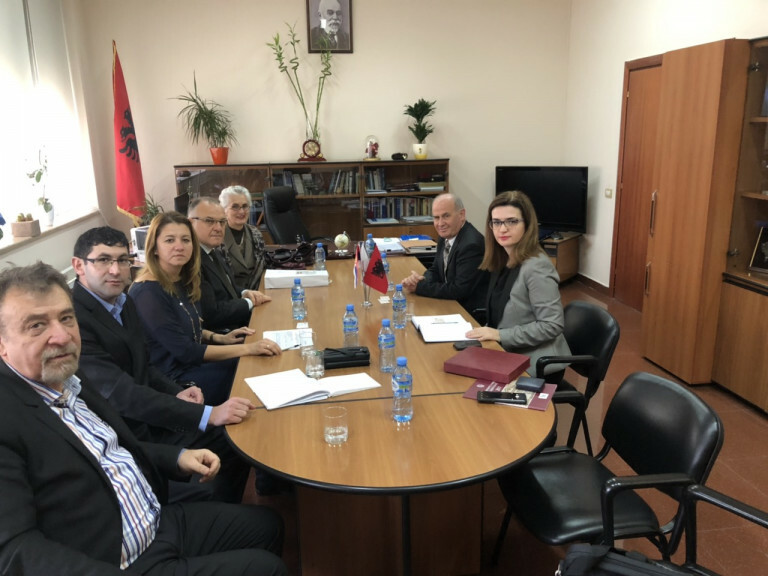 In the period 06-08, December, the University of Nis RE@WBC team visited two Albanian universities: the University of Tirana and the University of Vlora who are project partners within the RE@WBC project. During this period two meetings were organized at the University of Tirana: one with the University of Tirana management where, among others, the Rector and Vice Rector of the University of Tirana were present. The two teams discussed about the final stages of project implementation in the University of Tirana and, during a long and lively discussion, the University of Nis RE@WBC team explained how they had implemented some activities as well as what kind of problems they had met during that process. This meeting was an opportunity for the two Rectors to exchange their views and plans for further cooperation between these two universities; the second meeting was organized with the project contact person from the University of Tirana and a whole team of people which included, along with several professors, a number of members of the university administrative staff. The topic of discussion were financial issues and concrete actions which had to be done by the end of the project. Also, a meeting was organized with the project team of the University of Vlora. During the realization of the project this university has shown a very high level of understanding and willingness for positive changes and improvements of the position of their researchers. They are one of the first universities to have completed all the planed project activities. 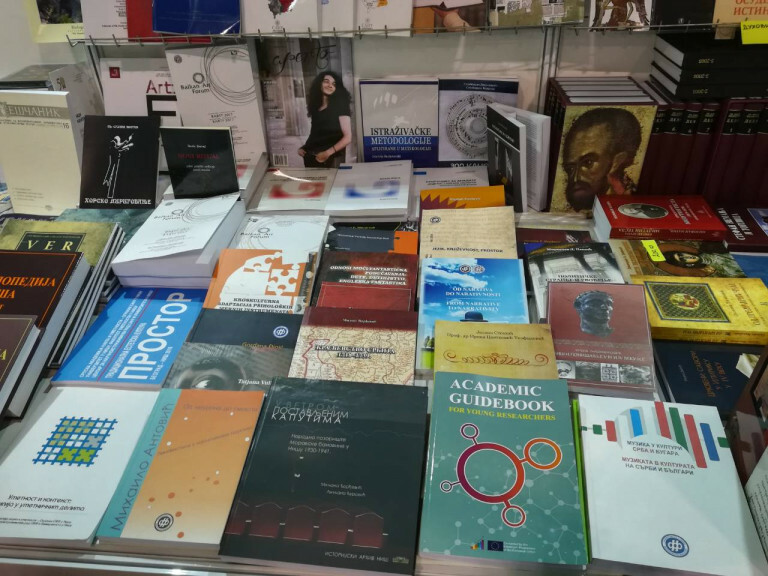 During the 63. International Book Fair held in Belgrade 20-28, October 2018, two book promotions of the GUIDEBOOK FOR YOUNG RESEARCHERS were organized, a book addressing primarily young researchers that has been published within the RE@WBC project. 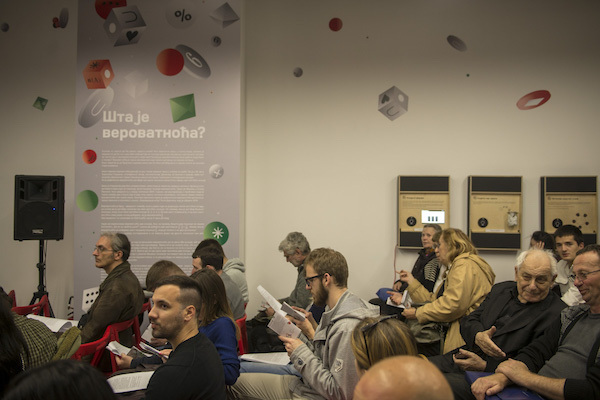 These two events happened in Hall 4, on 26.10.2018., in the hall for promotions „Branko Miljkovic“, where a one-day programme was organized featuring appearances of various authors, literary artists, publishers and members of the academia from Nis, and also in Hall 2 at the University of Belgrade stand. The book attracted great attention as this is the first time that such a publication is available in which young researchers are offered answers to all important questions and problems that they might be struggling with at this period of their careers regarding publishing, professional ethics, methodology of scientific research, databases etc. At this occasion a number of book copies was distributed to interested researchers. 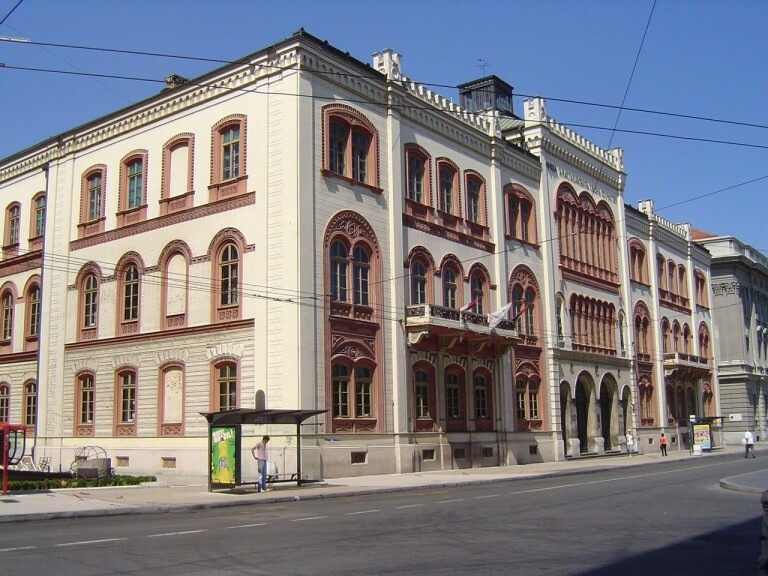 The Re@WBC European project, supported by the European Commission through the Erasmus+ programme, is ending The results of the project will be presented during the final conference which will be held on 10 September in the building of the Rectorate of the University of Belgrade, Studentski trg no 1. The Towards Excellence in Research: Achievements and Visions of Re@WBC conference, dedicated to the presentation of the Re@WBC project results, will be opened by the Vice-Rector of the University of Belgrade, Professor Ivanka Popović. Apart from the presentation of the results, which will be done by all partners, including the representatives of the University of Niš, which is the university coordinating this project, the conference will start the discussion on the topic of the importance of the position of researchers in the future, as well as on the experiences from the European Union with regard to the Human Resources Strategy for Researchers – HRS4R. Apart from the University of Nis, the following institutions represent partners on this ambitious project, Universities from Belgrade, Kragujevac and Novi Sad, as well as universities from Coventry, Liège, Tirana, Sarajevo, East Sarajevo, Montenegro, University of Vlorë &quot;Ismail Kemali&quot;, Politecnico from Turin and the Centre for the Promotion of Science. We invite everyone who is interested to attend the conference which will take place on Monday, 10 September starting from 11 o’clock. The detailed agenda for the conference can be found on the following link. The Novi Sad Fair, in cooperation with the University of Novi Sad, hosted the 13 th International Education Fair “Road signs”. 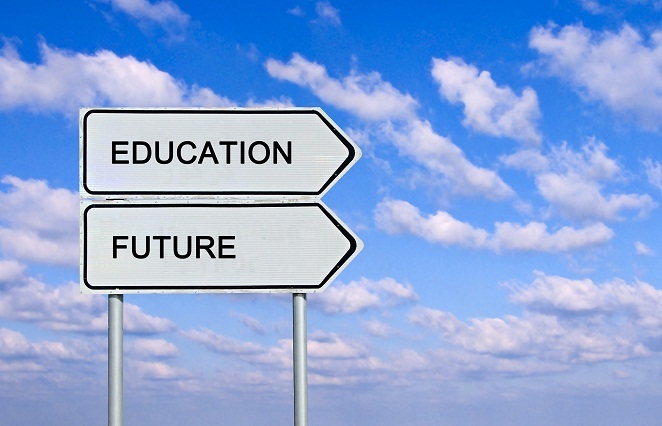 The objective of the International Education Fair “Road signs” is, first of all, the promotion of education for all and the affirmation of lifelong education. It was intended for future high school students and university students, and about 500 educational profiles have been presented by almost all high schools, state and private faculties in Vojvodina. The offer of educational institutions abroad was also promoted. 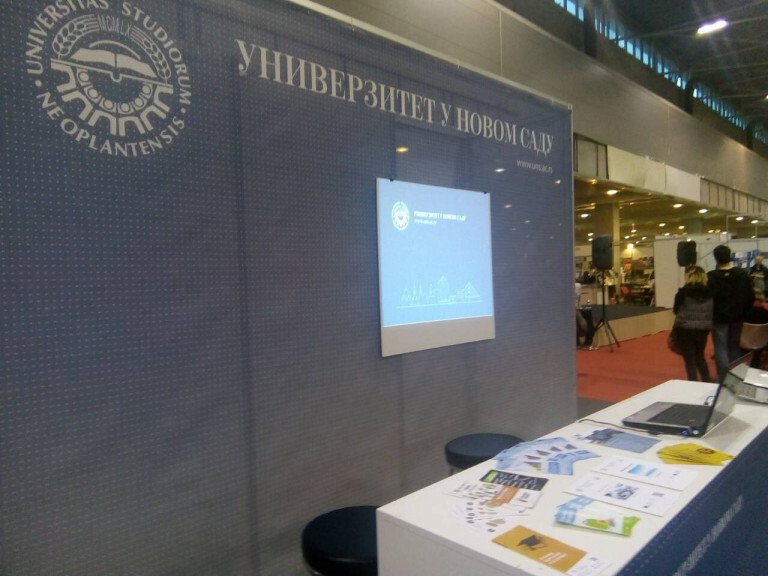 The ERASMUS+ project Re@WBC was presented at the 13 th International Education Fair “Road signs” by project promotional material offering information about project objectives and activities. Assoc. 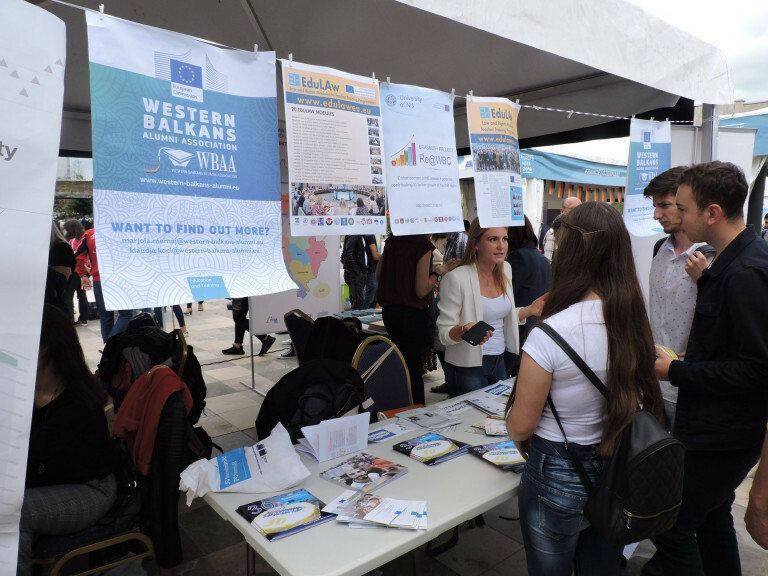 Prof. Armela Panajoti from University of Vlora “Ismail Qemali” and Dr. Elvana Shtepani from University of Tirana, representative contact persons for the Re@WBC project organized the promotion of the Re@WBC project at EU Village, an initiative of the EU Delegation, Albania, in the framework of Europe Week 2018 activities. The Erasmus + Office, Albania were present in this fair with their special tent. Contact persons for Erasmus + KA2 CBHE projects from various Albanian universities participated in this activity. All participants promoted their projects, shared information and ideas with colleagues from other universities. The promotion of the Re@WBC project was done in the form of an exhibition with poster and promotional material presentations. Participants and visitors found this an interesting and exceptional event, which allowed them to talk and discuss freely about their ongoing projects. On 19th and 20th April 2018, Re@WBC project team of the University of East Sarajevo organized two Training-seminars within activity 3.7: “Raising awareness about the significance of multidisciplinary approach to research” at Production and Management Faculty Trebinje, and Faculty of Medicine, Foča. Motivated by a general lack of multidisciplinarity in research in the Western Balkan universities, this workshop is organized to demonstrate the benefit of multidisciplinary approaches, with specific case studies of a poor and profitable research. Lectures were held with the aim of introducing as many teachers and associates as possible with methods and trends in teaching at higher education institutions. The participants were addressed by Vice-Rector for Science, Research and Development professor Siniša Berjan. This training primarily was intended for young researchers (docents, senior assistants, assistants, II and III cycle students) but also for all other interested professors, researchers and students. This training was attended by 55 students, researchers and professors from the University of East Sarajevo. Lectures held a respected professor Branka Kovačević from the Faculty of Philosophy of University of East Sarajevo, professor Siniša Berjan Vice-Rector for Science, Research and Development and professor Vera Cevriz-Nišić, Vice-rector for Teaching. 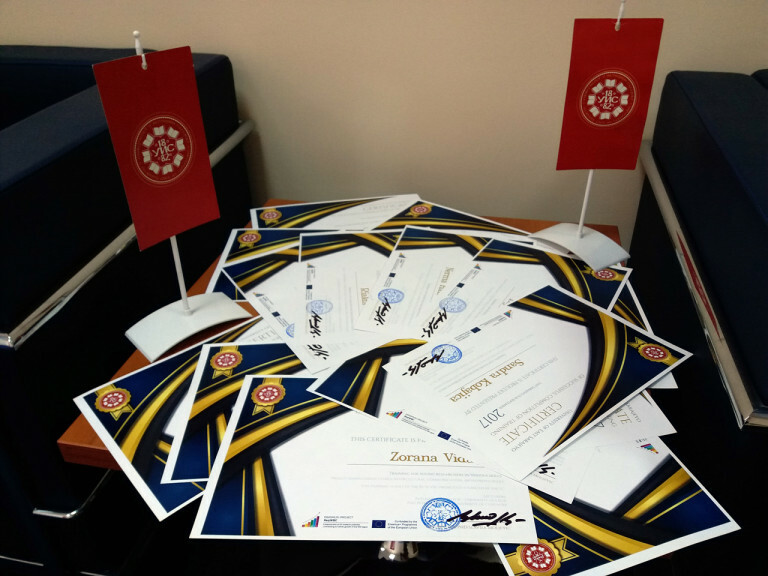 Concluding with this activity, the University of East Sarajevo has completed all planned educational trainings, seminars and workshops within the Re@WBC project. Our students, researchers, assistants and professors have shown great interest to this actual topic, and had active role in discussions. Training for junior academic staff entitled “Contemporary Methods and Forms of Teaching” was held at the University of Sarajevo on 22 and 23 February 2018. The training was organised within the Erasmus + project Re@WBC – Enhancement of HE Research Potential Contributing to Further Growth of the WB Region, for the purpose of improvement and development of teaching skills of junior teaching staff of the University of Sarajevo. Trainers were professors of pedagogy and andragogy from the Faculty of Philosophy of the University of Sarajevo, participants were junior teaching staff of the University of Sarajevo. The training was an excellent opportunity for improvement of teaching skills for the staff at the beginning of their teaching carers as well as for exchange of ideas, thoughts, and advice with experienced professors. Methods of active learning and evaluation of learning outcomes. Within the Erasmus + project Enhancement of HE research potential contributing to further growth of the WB region – Re@WBC a seminar will be organized on April 25, 2018. on “Importance of multidisciplinarity in research”. It will be held in the Great hall on the ground floor of the building of the Rectorate of the University of Nis and will start at 11.30. The seminar is being organized as part of the activity 3.7 Measures for enhancement of multidisciplinarity in research of the Re@WBC project. 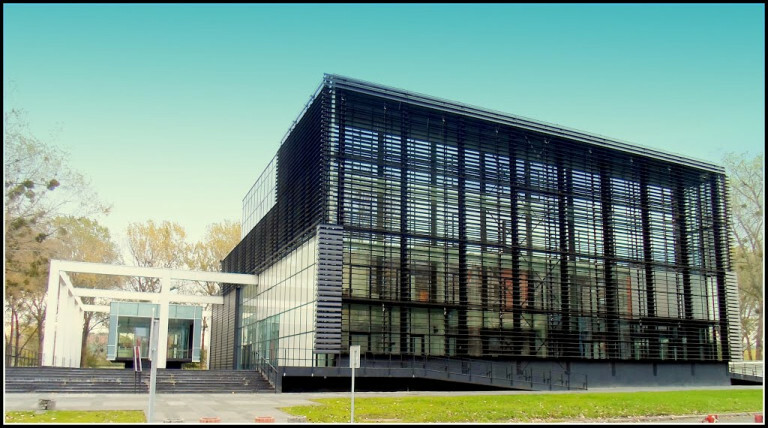 Beside hearing the lectures on the mentioned subject, the participants will have the opportunity to get themselves acquainted with the possibilities that the H2020 program offers, in particular with the actions within the Maria-Sklodowska Curie program. Besides professors from the University of Nis, the list of speakers will also include the assistant minister for international cooperation at Ministry of Education, Science and Technological Development prof. dr Viktor Nedović, as well as the national contact persons for the H2020 program Nada Milošević i dr Svetlana Bogdanović also from the Ministry of Education, Science and Technological Development. The first training took place at Faculty of Medical Sciences, University of Kragujevac on 28 January 2018. Training seminar covered activity 3.3: Research methodology training of WBC young researchers and it is was delivered by prof. dr Nebojsa Zdravkovic from Faculty of Medical Sciences. The topic was about IT/statistical methods and how to use it in appropriate manner. The training attended 35 participants. The second training covered activity 3.3 Research methodology training of WBC young researchers with the topic: “English Language for Academic Writing and Communication”. The training was held on 14 April 2018 at Faculty of Engineering, University of Kragujevac. Presentation prepared and delivered by three assistant professors from Faculty of Phylology and Arts, dr Branka Milenkovic, dr Dejan Karavesovic and dr Biljana Vlaskovic Ilic. The number of participants attended this training was 22. The third training covered activity 3.7 Measures for enhancement of multidisciplinarity in research. 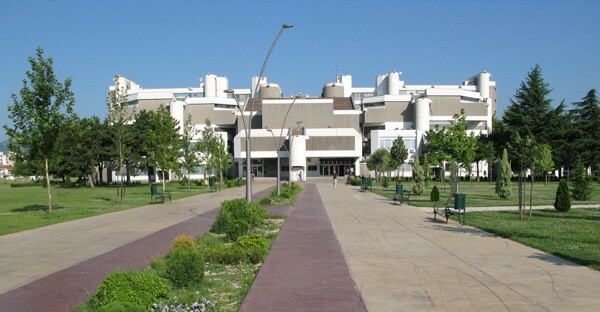 Engineering, University of Kragujevac, by prof. dr Ivan Macuzic. On 06 th March, 170 participants take place at training at University Centre Bijeljina. 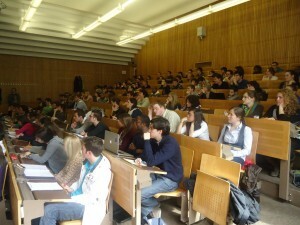 Following training were organized on 16 th March at Faculty of Philosophy Pale, where we had 53 participants. Professors and students have shown great interest to participate in those trainings, so we had the number of 223 professors, researchers and students participated in those training seminars. At University Centre Bijeljina the participants were addressed by Rector of the University of East Sarajevo, professor Stevo Pasalić and Vice-Rector for Science, Research and Development professor Siniša Berjan. These lectures were held with the aim of introducing as many teachers and associates as possible with methods and trends in teaching at higher education institutions. Trainings primarily was intended for young researchers (docents, senior assistants, assistants, II and III cycle students) but also for all other interested professors and students. Lectures held a respected professor Branka Kovačević from the Faculty of Philosophy of University of East Sarajevo. 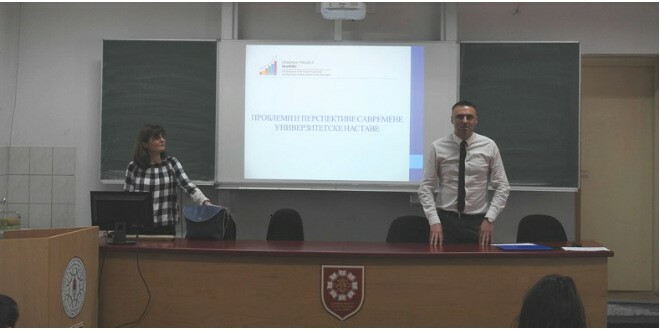 The second interactive lecture on &quot;Contemporary University Teaching&quot; was held at the Faculty of Philosophy of the University of East Sarajevo, attended by students and professors of the University of East Sarajevo, as well as students from Russia who are on the students’ exchange at our University. The participants were addressed by Vice-Rector for Science, Research and Development Siniša Berjan and Vice-rector for Teaching professor Vera Ćevriz-Nišić. 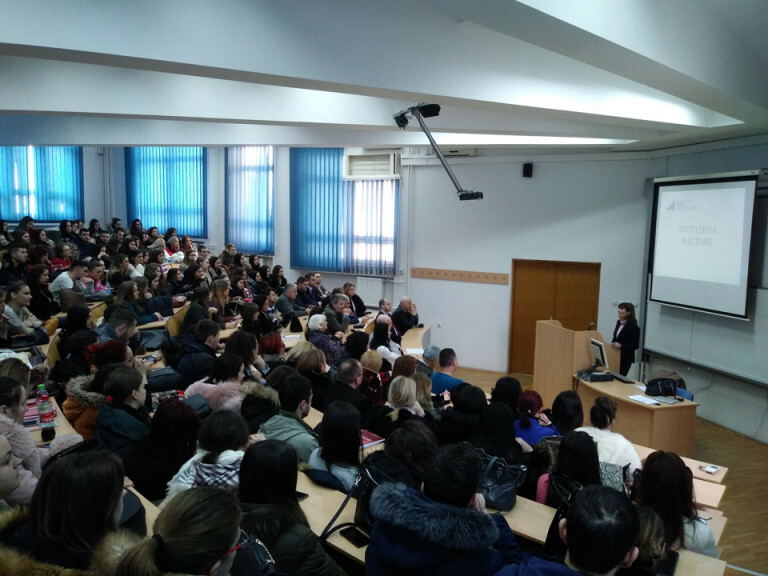 The lecture was held by distinguished professor Branka Kovačević from the Faculty of Philosophy of UIS with the goal of introducing teachers and associates as possible with methods and trends in the maintenance of teaching at higher education institutions. This training was intended primarily for young researchers (assistants, assistants, students of II and III cycles), but also for all other interested professors and students. 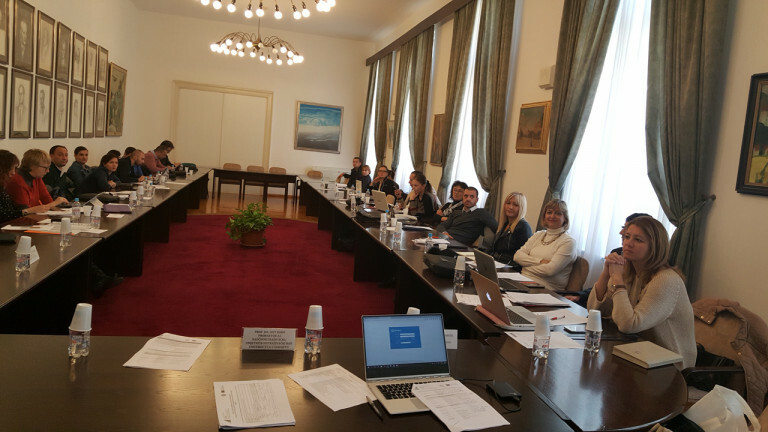 The University of Sarajevo organized the second Steering Committee of Re@WBC project, on November 6-7, 2017, at the Rectorate. After the welcome speeches, the meeting started with the presentation of the overall progress of the project activities during the previous period of. The remaining time of the two-day meeting was dedicated to the management issues and discussing the results from each partner institution achieved over time the individual work packages. On October 5, Re@WBC project team of the University of East Sarajevo attended The Eight International Agricultural Symposium AGROSYM 2017, at Termag hotel, Jahorina, Republic of Srpska, BiH, with a goal to present results and importance of project activities for the academic community in BiH, especially in achieving the HR logo. AGROSYM 2017 was organized by the Faculty of Agriculture, University of East Sarajevo, the Faculty of Agriculture, University of Belgrade and the Agronomy Mediterranean Institute from Bari. More than 1300 participants (scientists and researchers, private and public sector representatives, NGO representatives) from 85 countries have been registered for this year&#39;s AGROSYM, and about 1300 abstracts and over 600 complete papers have been received. 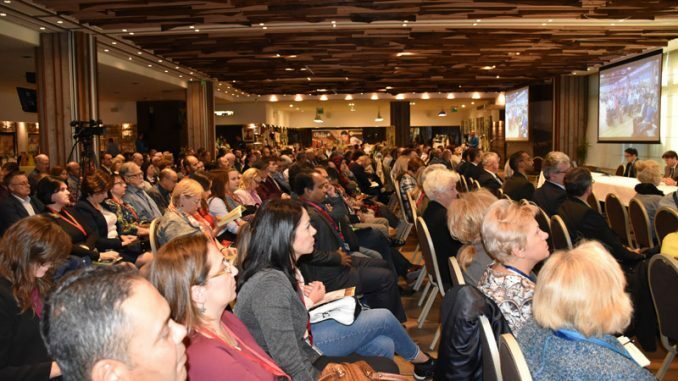 The Ministry of Science and Technology of the Republic of Srpska categorized AGROSYM as a meeting of special importance, and pointed out that this is an opportunity for domestic researchers to find out about the latest achievements in the field. This symposium has achieved great results so far and the Faculty of Agriculture has established cooperation with representatives from Russia, Thailand and other countries. AGROSYM 2017 was a perfect place to present potentials and achievements of Re@WBC project to such selected audience of great importance. Presentations about Re@WBC project goals and activities, enhancing management of human research potential at WB universities in line with national and EU strategies for researchers in order to contribute to the further WB region growth, was held by Siniša Berjan, PhD, Faculty of Agriculture University of East Sarajevo, and Jelena Mićić, from the Rectorate office of University of East Sarajevo. University of Kragujevac organized training seminar within activity 3.4 Training for young researchers in various skills on 11 and 12 September 2017. The two-day training seminar gathered nearly 120 researchers, PhD students and young assistant professors. Participants had the opportunity to hear and learn about various topics, very significant for their career. The first part was dedicated to the Re@WBC project introduction and discussion about what milestones within project were reached. 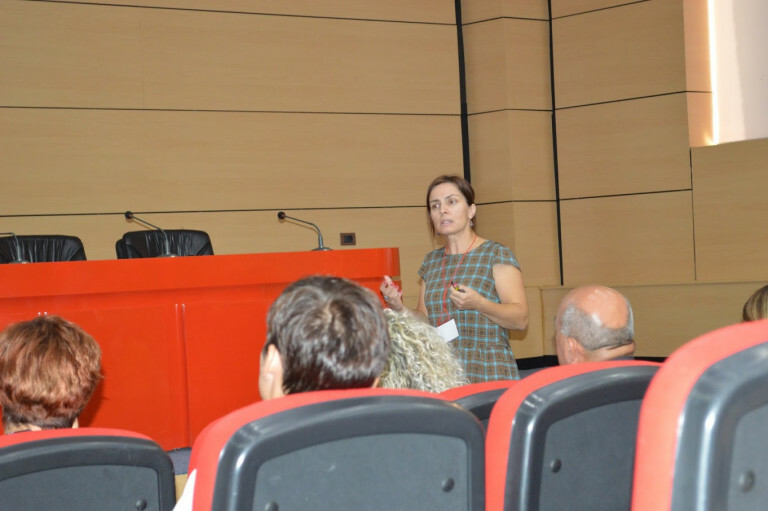 Project coordinator Dragana Cvetkovic-Ilic,PhD from Faculty of Mathematics, at University of Nis, presented project results. The second part was about “Young researchers and PhD holders in the labour market” presented by Ivan Macuzic, PhD, from Faculty of Engineering at University of Kragujevac. Two speakers from Torino, Italy gave their lectures on the first day: Gabriele Baldissone, PhD, from Politecnico di Torino, Italy, and Mr Federico Rastelli from I3P Politecnico di Torino’s Incubator. The second day of training seminar was divided into two parallel sessions. In the first session, participants had opportunity to learn about “Career Planning and Development Needs”, “Effective Networking” and “Mind mapping &amp; Creative thinking”. The lectur was held by Heather Sears,PhD, from Coventry University. In the second session, lecturer was Kieran Fenby-Hulse, PhD, from Coventry University and participants had opportunity to hear about “Becoming a Research Leader”, “Enhancing Your Research Profile and Brand” and “Undertaking Interdisciplinary Research”. management, intercultural communication, ethics in research and entrepreneurship. Vice-rector for international cooperation and quality assurance of UES, professor Dejan Bokonjić, during the opening of the training, pointed out that organizing such seminars is important for young researchers, so they could exchange experiences and strengthen the research work segment. 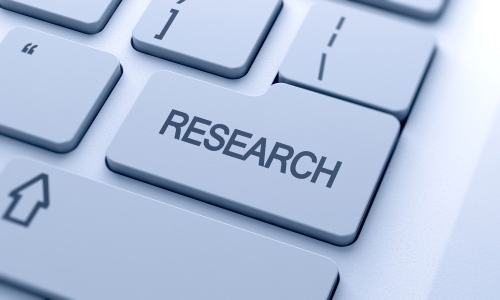 Research has crucial importance for the development of higher education institutions. Vice-rector Bokonjić noted that the funding for such projects in BiH is limited, and that it is extremely important to take the opportunity to participate in this and similar international programs. region in terms of planning and conducting research, participation in research projects and the foundations of entrepreneurship. A special session for the promotion of Re@WBC project was organized in the framework of the Mapping Balkan routes: literary, cultural and linguistic landscapes international conference on Balkan Studies, a collaboration between the Department of Foreign Languages and the Department of Albanian Language and Literature, Faculty of Humanities, University of Vlora “Ismail Qemali”, and the Faculty of Philology, University of Belgrade, which took place on 8-9 September 2017 in Vlora, Albania. The presentation of Re@WBC project took place during the second day of the conference. The promotion of the project was done in the form of a presentation to an audience made up of professors, young researchers and students from different universities, in Albania and overseas. The presentation focused on a brief introduction of the project, its main goals, and the project partners and more specifically on the project results, what has been achieved so far within each work package. Participants found the project very interesting and most needed and asked questions about the different work packages. Both trainings will be conducted by dr Ivan R. Palić, associate professor of the Department of Chemistry of the University of Nis. The trainings are primarily intended for young researchers – students of doctoral studies, teaching assistants and assistants – but all teachers and students interested in the topics covered will of course be welcome too. 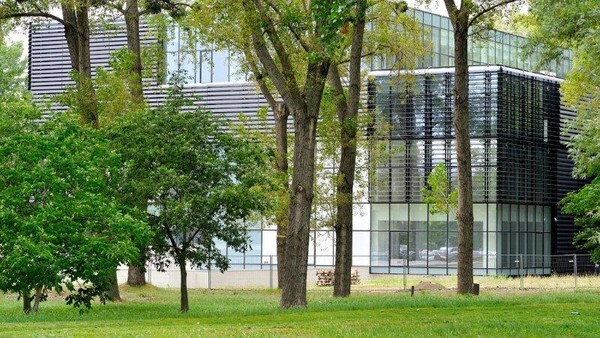 After University of Nis and University of Kragujevac, University of Novi Sad is the third Serbian University to obtain the prestigious label from the European Commission – Logo of Human Resources Excellence in Science. Since 2005 the European Commission has promoted two very important documents – The European Charter for Researchers and The Code of Conduct for Recruitment. The main role of these documents is to ensure that all the researchers in European Research Area have the same rights and responsibilities. The European Charter defines rights and obligations of researchers and institutions, while The Code of Conduct for Recruitment recognizes the need for transparency and equal employment conditions for the researchers in the whole European area. Research methodology training of WBC young researchers at Rectorate Conference room. useful, motivating and capacity building opportunity. The seminar dedicated to the research methodology will be organized on June 14th, 2017 by University of Belgrade, as a part of the project activity 3.3. More information about the exact time and place of the seminar may be found at the official web site of the University of Belgrade http://www.bg.ac.rs/sr/vest.php?id=788. Employment Research Code of the researchers. and plans to significantly improve and adhere to the EHEA (European Higher Education Area). East Sarajevo, which is especially important when applying for international projects. recruitment procedures at the University are harmonized with the European. requirements for the use of the ‘HR Excellence in research’ award/icon. On Friday, 9 June, Albanian Society for the Study of English (ASSE) in collaboration with the University of Vlora “Ismail Qemali” organized a special session within ASSE 2017 conference for the promotion of Re@WBC project, which was included in the conference program. The session took place during the second day of this three-day conference. The promotion of the project was presented to an audience made up of professors, young researchers and students from different universities, in Albania and overseas. The presentation was focused on an introduction of the project and its main goals, and what is intended to be achieved through them by all partners. On Thursday, 08. June, Faculty of Engineering in Kragujevac organized conference decicated to the improvement of quality of life. Dr Miladin Stefanovic a member of the UKG Re@WBC project team presented current result related to University of Kragujevac as well as whole Re@WBC project, and their achievement of Human Resources Excellence in Research. Audience from different Universities, domestic and foreign, got information about successful story obtaining the HR Logo and what it means to the University of Kragujevac. Within project activity 3.3. Young researchers trained on research methodology the Re@WBC project team from the University of Nis has organized couple of trainings during May and June dedicated to research methodology. The first one was organized at the Faculty of Science and Mathematics, University of Nis on 24 May, 2017 and 68 Phd students, researchers and professors participated in it. The speaker was dr Ivan Palic, associate professor at this faculty. The second training was organized at the Faculty of Techonology, University of Nis on 01 June, 2017. The total number of participants was 15, mostly PhD students and teaching assistants. On 05, June, 2017, a training was organized at the Faculty of Pedagogy, University of Nis which is located in Vranje. The trainer was dr Sasa Nikolic, professor from the Faculty of Electronic, University of Nis and there were 23 participants. University of Sarajevo organized two day ( 5-6 June) June two-day seminar about research methodology at Rectorate building. The aim of the seminar was improvement of our University’s young researchers’ skills related to research planning and implementation, paper writing and research results presentation. Target groups include assistant professors and III cycle students of our University. The speakers at the seminars were Rektor of the University of Sarajevo Prof. Dr. Rifat Škrijelj, UNSA vice-rector for scientific work Prof. Dr. Izet Rađo , Saša Madacki, BSc. LIS LItt, UNSA, Assistant Professor Zenan Šabanac, UNSA, Nedim Čović, MA, UNSA, Academician Prof. Dr. Dejan Milošević, UNSA, Academician Prof. Dr. Enver Zerem, University of Tuzla, Prof. Dr. Naris Pojskić, UNSA – INGEB , Dr. Sc. Vanja Kenjić, UNSA. 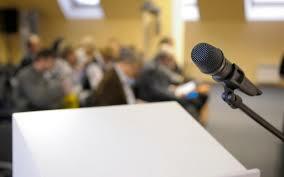 First day seminars attended 100 researchers while the second day 80 of them listen lectures. Re@WBC project team from University of Vlora “Ismail Qemali” organized at the first week of June ( 5-6. June) seminar for young researchers about research methodology and some particular aspects related to it. This two-day seminar gathered 206 participants. The training covered different topics like problem solution, creativity, innovation, different types of analyses (SWOT, gap, Cost-benefit, PDCA) etc. The seminar was conceived in an interactive form following a Q&Aformat. Speaker in this seminar was Assoc. prof. Armela Panajoti team member of the Re@WBC project team. 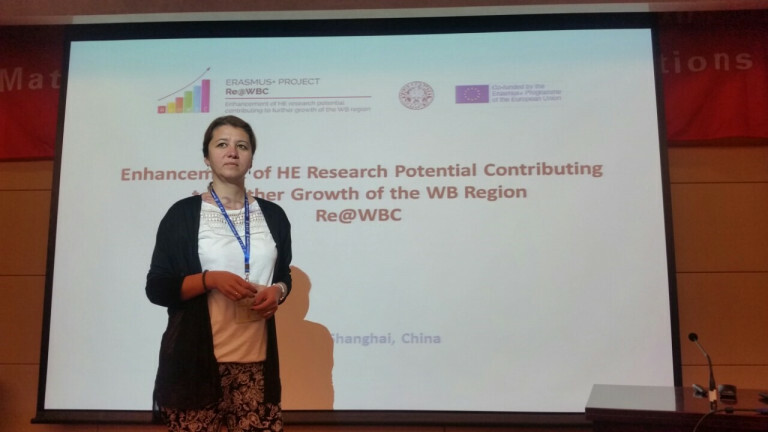 During the first days of June 2017, professor Dragana Cvetkovic Ilic, a member of the UNI Re@WBC project team, attended two international conferences in China, each with more than 100 participants from all around the world. First one, MIME 2017 conference was held on June, 6-8 and the second one MAO 2017 conference took place on June 9-12, both in Shanghai. Dragana Cvetkovic Ilic used these conferences to present the ideas and the results of the RE@WBC project and to invite her colleagues to further expand cooperation within the Erasmus + programme. On Friday, 2 June, the panel called “Logo of Human Resources Excellence in Science – how to achieve it and what is it for?” will be held in the Belgrade Science Club. On Friday, 2 June, the panel called “Logo of Human Resources Excellence in Science – how to achieve it and what is it for?”, will be held in the CPN Belgrade Science Club, Kralja Petra street number 46. The main topic of the panel will be the question of receiving a Logo of human resources excellence in science – a logo which at this moment is held by University of Niš and University of Kragujevac. Why is this panel important for universities and university staff, where are our universities in this aspect, what do European Charter for Researchers and Code of Conduct for Recruitment of Researchers represent? These are some of the questions which we will ask. The panel is organised within the Re@WBC European Project. Katarina Anđelković, Center for the promotion of Science. 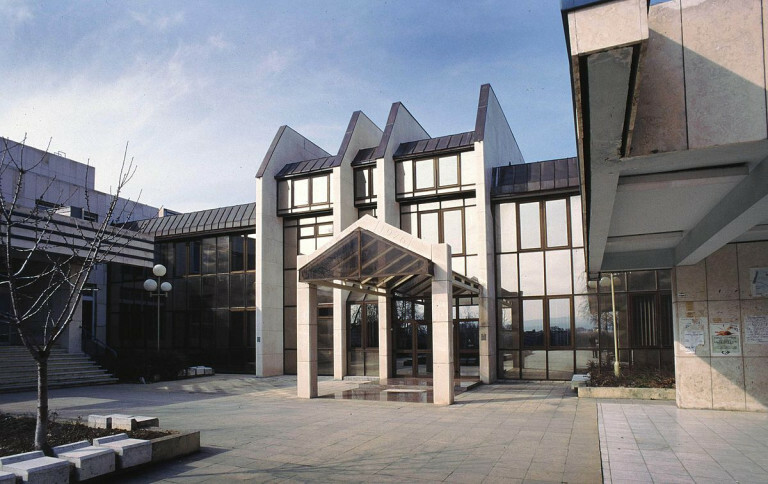 University of East Sarajevo, 15-15. September. The trainings on these topics, which are of great importance to every researcher, will be led by trainers from the University of Liege, University of Coventry and University of Torino, who are partner institutions within the project. On this occasion, CPN presented Mr. Smits with its ongoing EU collaborations, including Erasmus + Co-funded Re@WBC project. A general framework of the project and implementation activities at the national level were presented by Katarina Anđelković. 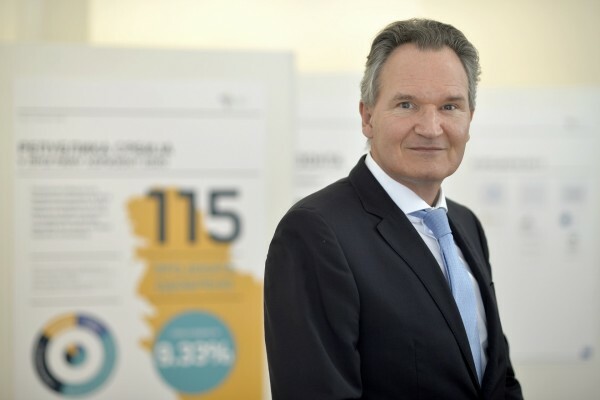 “This is my first visit to Serbia and I must say that I am extremely impressed by what I have seen in these two days.” emphasized Mr. Smits, during his visit. 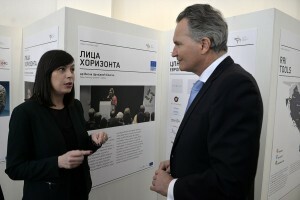 „I had a chance to see high-class universities and institutes, brilliant young people, highly eloquent and confident, performing high-class research, willing to work in partnerships and to be a part of European projects”, Smits concluded, adding that science is communicated very well in Serbia. The University of Belgrade (UB) will organize a seminar for young researchers and PhD students on February 10th, 2017. The seminar will deal with the Charter &amp; Code principles and their implementation by higher education institutions in support of researchers’ careers. More information about the exact time and place of the seminar may be found at the official web site of the University of Belgrade http://www.bg.ac.rs/sr/vest.php?id=712 . The main aim of those seminars are to inform young researchers and PhD students with Charter &amp; Code principles and their implementation by HEIs in support of the researchers’ career and well-being. The main aim of those seminars are to inform young researchers and PhD students with Charter & Code principles and their implementation by HEIs in support of the researchers’ career and well-being. One of the significant activities within Re@WBC project are training sessions for university staff. During May 2017. two of those training sessions will be organized – one in Liege and the other one in Torino. Within the Activity 2.5 Training trainers by EU partners, the University of Liege will organize the training session from May 8-11, 2017. The following topics to be covered: excellence in research – HR strategy for researchers, merit based and transparent recruitment of researchers, merit assessment, best practices between supervisors and PhD candidates. 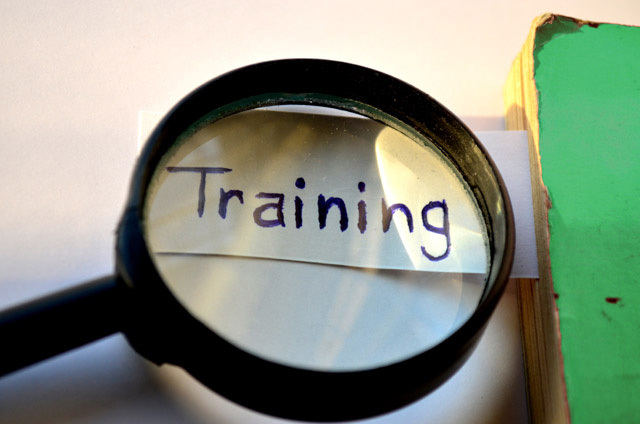 Also, within the Activity 2.5 Training trainers by EU partners, the University of Torino will organize the training session from May 23 – 26, 2017. The topics to be covered will be the following: soft skills and entrepreneurship. 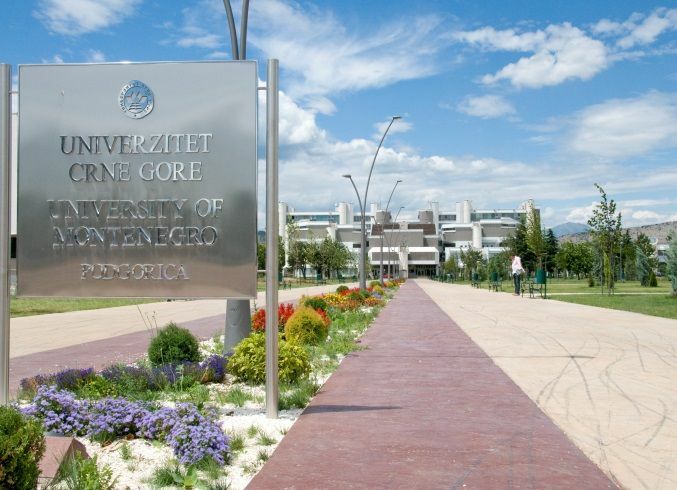 The first Quality Assurance Committee meeting of the Re@WBC project will be organized by the University of Montenegro in Podgorica, 23-25 March 2017. During the first part of the meeting, the participants will present the activities they have already implemented and the plan of the activities they intend to carry out. They will also describe the problems they encountered and possible solutions. The second part of the meeting will be dedicated to the consideration of the activities of dissemination. How much have the universities done until now, which channels did the partners use for dissemination, which other channels can we develop and which are the deadlines for dissemination? The meeting will be held at Rectorate building. 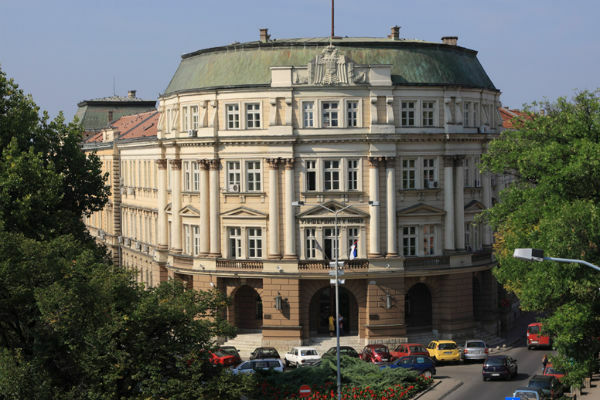 The University of Belgrade (UB) will organize the training session at the UB Rectorate, 5-7 April 2017, within the Re@WBC project activity 2.5. The three day training session will be held by highly skilled professors from University of Belgrade and the following topics will be discussed: inter-cultural communications, researcher ethics and writing research proposals. The training session is going to be held and University od Belgrade, address Studentski trg 1, Belgrade. On Monday, 26. Decembar at University of Montenegro will be organized training for researchers concerning the role and significance of C&C and HRS4R. Training will be held at Rectorate building at 11:30 am. This seminar is organized by prof. dr Vladimir Pesic, prof. dr Marija Krivokapic, and Filip Petrovic. Re@WBC seminar is a part of the project acitivity 3.1. Training of WBC researchers conserning the role and significance of C&C and HRS4R and represent one of the mail goals of the project. A one-day seminars will be organized at the University of Vlora “Ismail Qemali” and University of Tirana on 22.12.2016. on the role and importance of the Charter and Code for Researchers. 1. Introduction of the Euraxess-Researchers in Motion, the tools and facilities it offers for researcher career development. 2. ERA – Towards the principles for researcher career development. 3. Problems facing researchers in Europe today. 4. Ways of developing researcher career. 5. Charter & Code principles. 6. ‘HR Strategy for Researchers’. 7. The “HR Excellence in Research” label. Two seminars, first one on 28th November and the second one on 14th December 2016 will be organized at the University of Sarajevo for young researchers and PhD students. Seminars are edicated to the role and significance of the Charter&Code and HR Excellence in Research for the purposes of their future work. The main goal of these seminars are raising awareness about the benefits of applying the C&amp;C and HRS4R principles, two strategies the implementation of which is crucial in every segment of researchers’ work. The training for young researches and doctoral candidates was held at the University of East Sarajevo on November 9, 2016 at 11:00am in the Amphitheatre of the Academy of Music. The main goal of the training was to deliver to the participants the information, and present practical skills on the role and significance of the European Charter for Researchers and a Code of Conduct for the Recruitment of Researchers, about major grants in research and possible approaches in research, different methodologies in research, and on the importance of the opening of the University towards work-field and community. The whole event was organized successfully, participants evaluated event as good one, and major recommendation was that we continue with similar events in the future, therefore next training will be held at the end of this month at the Faculty of Economics in Brčko. Supported by the Re@WBC project, five universities from Western Balkans region have developed the HR strategies and submitted their candidatures for the HR Excellence in Research label, awarded by the European Commission: University of Kragujevac and University of Novi Sad from Serbia, University of Sarajevo and University of East Sarajevo from Bosnia and Herzegovina and University of Vlora from Albania. 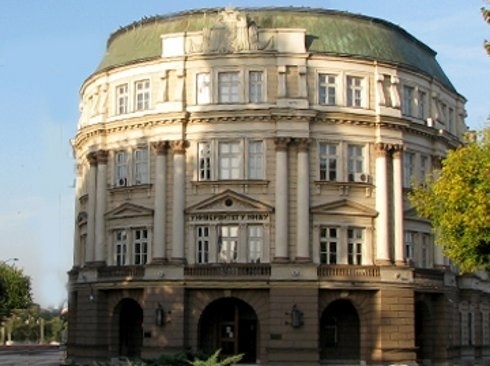 The University of Belgrade will be hosting the first Steering Committee of Re@WBC project, on December 1-2, 2016. After the introductory session, the meeting will begin with the presentation of the overall progress of the project activities during the previous period of its implementation. The remaining time of the two-day meeting will be dedicated to the management issues and reporting on results achieved within the individual work packages. Action plan for the following six months will also be discussed and adopted. Two seminars, first one on 22th November and the second one on 21st December 2016 will be organized at the University of Nis for young researchers and PhD students. Seminars are dedicated to the role and significance of the Charter&Code and HR Excellence in Research for the purposes of their future work. The main goal of these seminars are raising awareness about the benefits of applying the C&C and HRS4R principles, two strategies the implementation of which is crucial in every segment of researchers’ work. More than 100 phD students and young researchers from the University of Nis will be educated through two one-day seminars about this topic. On 25th November University of Nis will host prof.dr Dragoljuba Pokrajca who will held the lecture of students attrition and measures how to improve motivation. Prof. Dr Dragoljub Pokrajac is professor of the Computer and Information Sciences, Assistant Voce President for Business Analytic and Chief Data Officer. He graduated 1993 at the Faculty of Eletronics in Nis and defented his PhD disseration spatial-temporal data mining at Temple University, Philadelphia, Pennsylvania,USA in 2002. University of Nis are inviting you to be a take a part of this interesting and unique lecture. The lecture will be organized at Rectorate building, University of Nis at 16:00 pm. In the mid of December, Coventry University will be hosting a two-day training for trainers for Re@WBC partner universities. Dr Rebekah Smith McGloin, Prof. Dobrila Petrovic, Dr Heather Sears and Dr Kieran Fenby- Huls, all from Coventry University, will lead training sessions and workshops. Organized workshops and lectures for Phd students will take place on December 15, and the main topic will be supervision training for supervisors and students. Lectures and workshops will provide examples of good practices of supervision, but also dedicate time to show how to manage supervisory relationship. The second day, December 16, will cover more practical communication issues and questions such as how to improve presentational skills if you are early-career researcher or how to write successful funding proposal. Those questions are important for every young researcher. During November and December 2016 all Re@WBC partner universities will organize seminars for PhD students and young researchers that will cover the role and significance of Charter&Code and HR Excellence in Research for their further work. One of the goals of the Re@WBC project is raising awareness about the benefits of applying the C&C and HRS4R principles. More than 900 PhD students and young researchers, 100 from each of the partner universities, will be educated through one-day seminar about this topic. 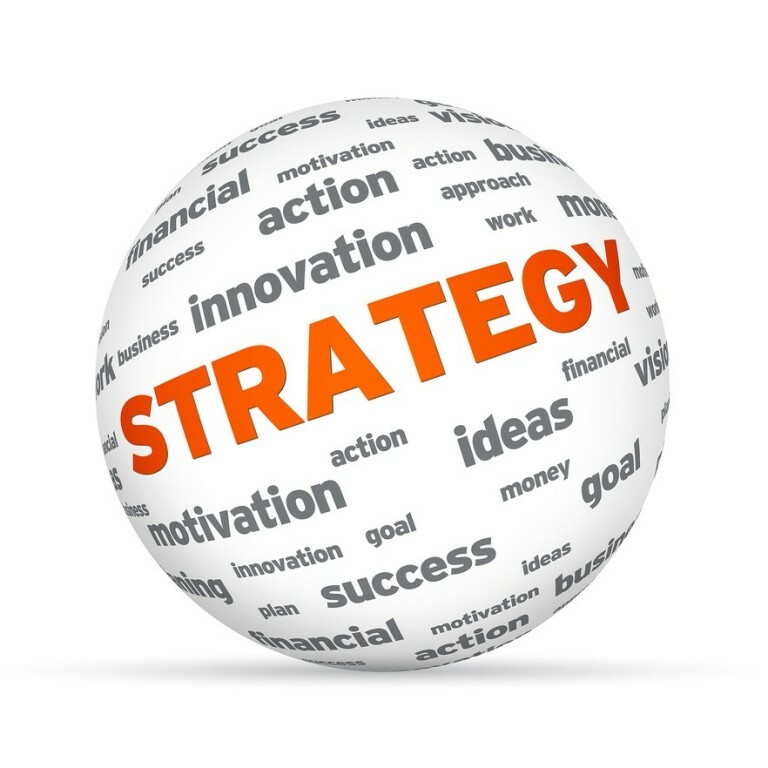 Those strategies and their implementation are crucial in every segment of researchers’ work. 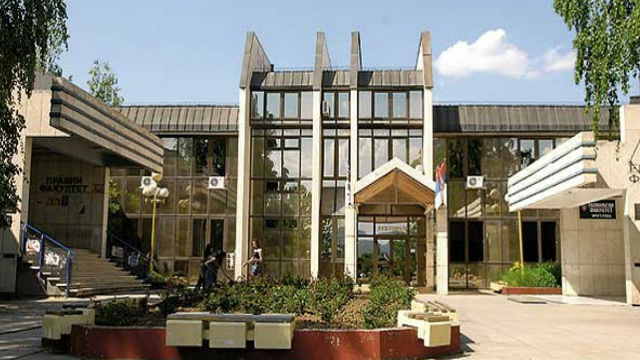 The University of Kragujevac will be hosting two – day training for 36 members of ethic committees from Re@WBC partner universities on 10 – 11 of November. • Why do we need Research Ethics Committees and what do they do? • Who should sit on an ethics committee: Moral preferences or subject expertise? • Developing capability in research ethics: Ethics Committee Members as role models, mentors, and trainers. • How European universities deal with integrity and ethics, and how they train the researchers for good practices in research? Training will be organized and lead by EU partners whose rich experience will vouch for its successful completion, so as to improve the quality of work of EC. Open discussions should lead to researchers’ having better service and receiving a more satisfactory response when it comes to setting right the procedures that they find incorrectly run in some way, or exercising their rights in general, which will ultimately produce a much better working environment in the WBP universities, and also result in having the best of researchers working there. Dr Isabelle Halleux from Univesity of Liege and dr Kieran Fenby- Hulse from University of Coventry will lead the training. 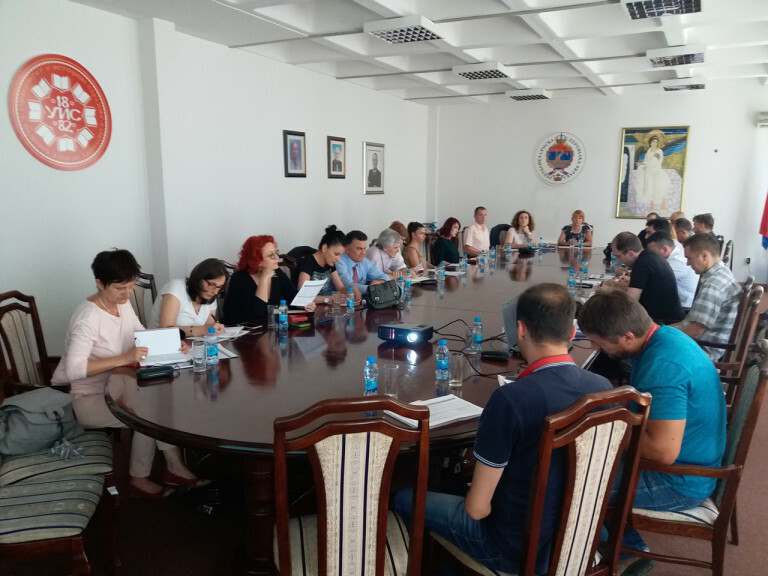 University of Niš, the project coordinator, announced and took public procurement for purchase equipment and services for the needs of the project which is co-funded from Erasmus + Program of the European Union. 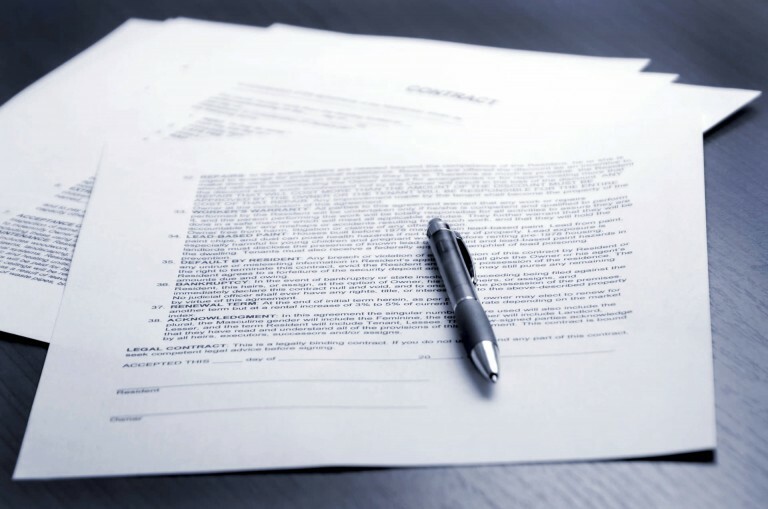 Subject of procurement is unified procurement of computers, additional computer equipment, audio and video equipment and software for detection of plagiarism. 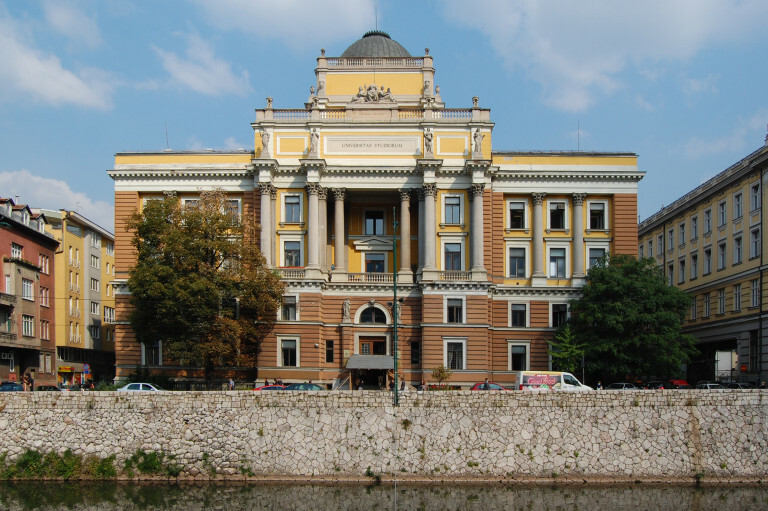 Modern equipment and the software will be installed at University of Niš, University of Belgrade, University of Novi Sad and University of Kragujevac. One of the goals of the project is working on better quality of higher education system through further education of the university stuff but also through creating new documents and aligning the existing ones with the EU documents. The Faculty of Philosophy at University of Novi Sad will be hosting two day training for WBC administrative staff on 22nd and 23rd of September 2016. Main topics will be the practice of EU when it comes to implementation of the Charter& Code, the procedures and services for PHD students which are provided by EU administrative staff, and structure od the data bases. The training will be organized by experienced trainers who will improve administrative staff competences in the field of C&C and provide them with necessary skills and knowledge to improve and more efficiently handle researchers’ career development issues. 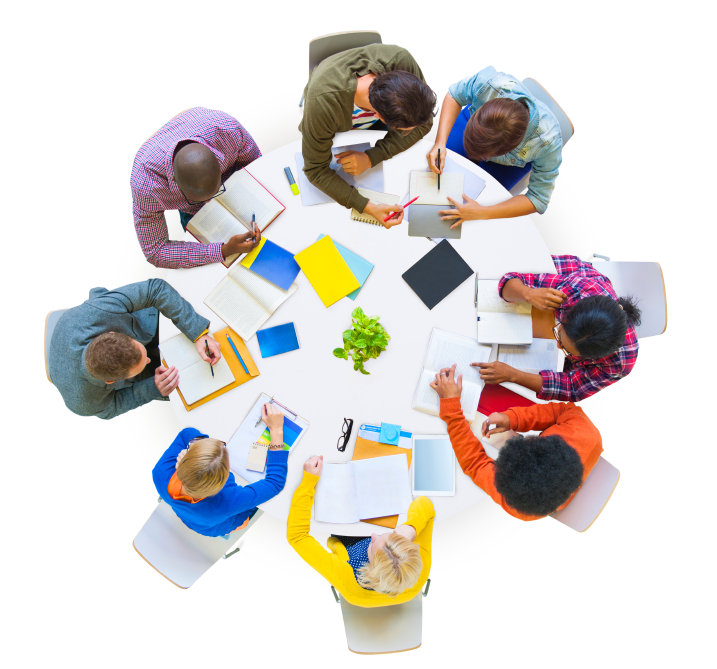 One of expected outcomes of this training will be a more competent academic staff that will, each at their own university, get researchers acquainted with and further educated on the implementation of the Charter & Code through the “HR Excellence in Research” process, and generally raise awareness on the matter. According to their budget, each WB partner institution should send 4 representatives administrative staff. The meeting is going to be held at the University of Novi Sad, Faculty of Philosophy, address: Dr Zorana Djindjica 2, Conference room, ground floor. Coventry University will be hosting a one-week programme for all partner universities, June 20-24th, 2016. The programme will focus on researchers’ career progression in UK, supervisor training, research ethics and doctoral training. The training is organized for researchers from all partner universities and the goal is to enable them to share their new knowledge with colleagues back home. 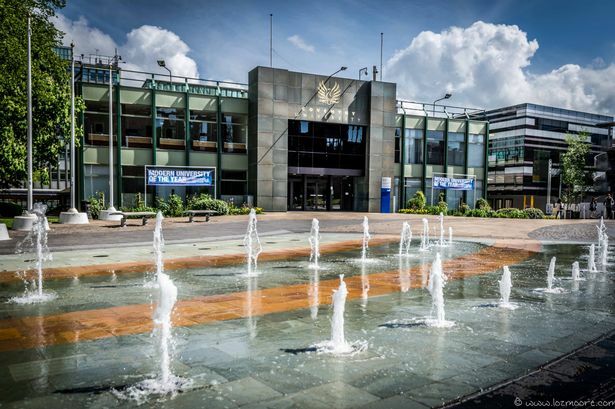 Participants will also have the opportunity to participate in elements of the Coventry University annual conference, with a recommended pathway of relevant workshops as well as the choice of <100 additional talks, workshops and presentations. 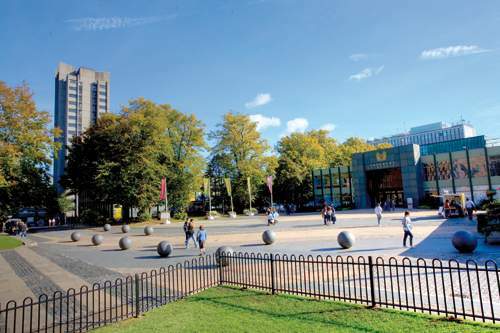 Coventry University is one of the UK universities which has adopted and implemented the Charter and Code of the HR Strategy for Researchers and has obtained the Commission’s “HR Excellence in Research” badge. On June 8th 2016, University of Belgrade will host a seminar organized for management boards dedicated to creating an excellent environment for the researchers. Seminar is one of the activities at Re@Wbc project and it is organized by the University of Novi Sad in cooperation with the University of Belgrade and the University of Nis. To make the universities an excellent environment for the researchers it is necessary to educate the management about the significance of improving the position of human research potential. Management board representatives of the partner institutions will be educated on the implementation of the Charter and Code through the HR Excellence in Research process. 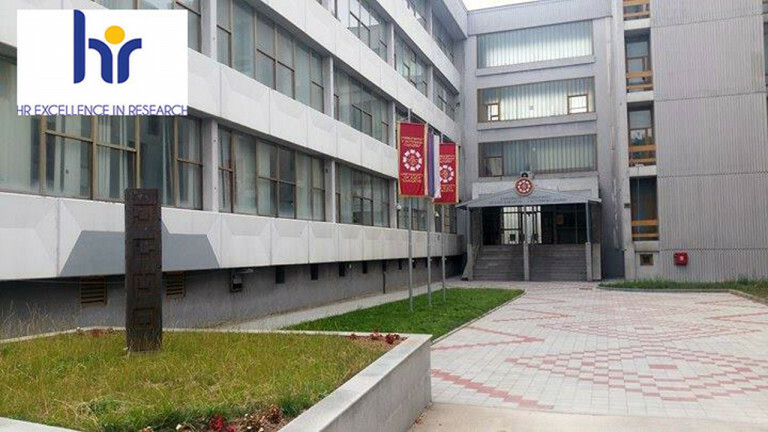 On May 19th, 2016 EACEA representative Franco Burgio, visited the Faculty of Philology of the University of Montenegro for a monitoring visit. After a brief welcome address and introduction of the participants, Marija Krivokapic, presented the project, its overall goals, a variety of planned activities, as well as activities performed so far. The EACEA and the NEO representatives agreed to what they were presented and especially liked the project’s web page, the platform, and the general transparency of the project. Everybody agreed that the forthcoming info days at the Faculty and the University should be used to expand popularization of the project. Representatives of EACEA, NEO, Faculty of Philology and representative of student body attended the meeting. All the participants agreed that the meeting was successful. University of Liège will be hosting a one-week training workshop for all partner universities, April 18-22, 2016. 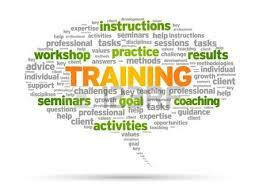 Training for the university staff will cover a wide specter of very important topics. Among others, session will cover relationship between industry and university, sources of funds for research projects, question about ethics and responsibility among researches. The training is organized for researchers from all partner universities and the goal is to enable them to share their new knowledge with colleagues back home. 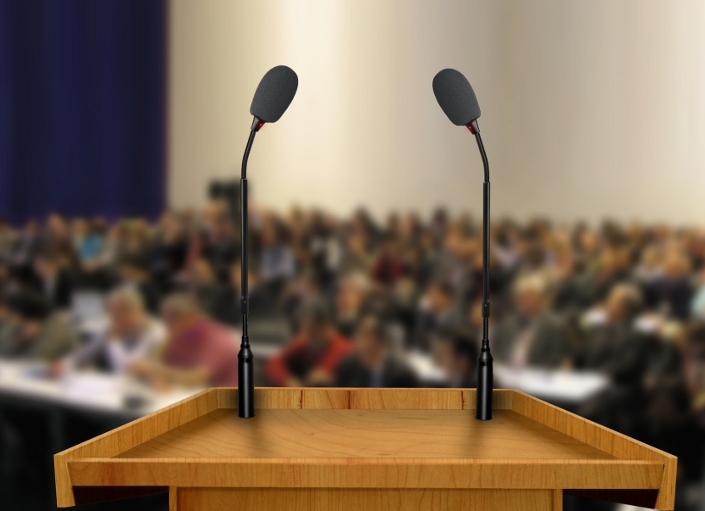 The main topics of the meeting will be the empowerment for employability and the stage and job unit, the importance of HR Strategy for researches for inclusion of WBC research institutions in ERA, how to attract international researches, reporting system, as well as presentation of good practices from Turin. After the kick-off meeting in December and following the meeting in Brussels beginning of this year, the meeting in Turin will be the third official gathering related to the project Enhancement of HE Research Potential Contributing to Further Growth of the WB Region, which is being co-financed by the Europeane Union program Erasmus plus. 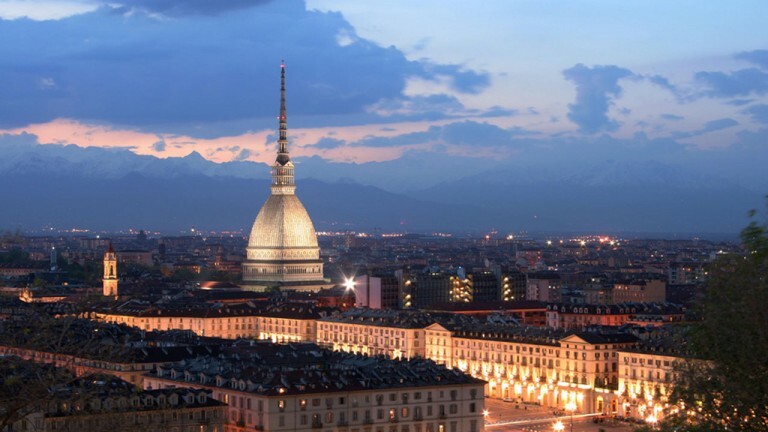 Politecnico di Torino is ranked among the first 25 European technical Universities Engineering, Technology, Computer Science.